This is a 200mW Blue(Violet Purple) Laser Pointer with safety lock. It is able to ignite matches, shoot balloons, engrave on plastics, and shoot off firecrackers. It can be powered by one 18650 battery. 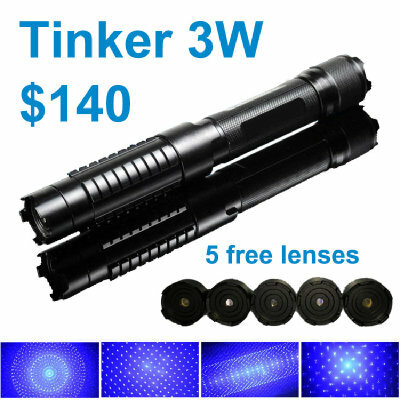 The Laser beam focus is adjustable, and the lens is interchangeable. Laser beam distance is greater than 2000m / 1.24 miles. This is not a cat laser, do not play with your cats or dogs. P.S. : The laser color in the images varies from blue to violet purple. This is normal. Generally, the more intense the laser beam is, the more likely it looks like violet.